NHS Wales stores your information on computer systems. Only when there is a legal basis for the transfer of data, we may pass limited and relevant information to other NHS organisations to improve efficient management of the NHS or to aid medical research. If you wish to object to the use of your data for these "secondary" uses please contact the Practice Manager. Details as to how this information is used is included below. We welcome your feedback as to how we could improve our services. If you have a concern, please ask any member of our staff or Doctor for our concerns procedure. Misunderstandings can often be resolved informally. For a copy of the Publication scheme please contact the Practice Manager on 01978 710666. 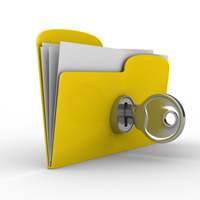 We keep written and computer records which can be seen by members of our team who are all trained in confidentiality. We are registered under the Data Protection Act. Our practice, on occasions, participates in research projects to help the understanding of important health matters leading to the improvement of health care. Information is anonymised so individual patients cannot be identified. If this were not to be the case your specific consent would be asked for. There is no obligation for you to take part in research and non-participation will not affect your usual care. Records are sometimes made available to approved NHS agents for legitimate audit purposes. If you do not wish such persons to access your information, please let our practice manager know. All patients are entitled to have a chaperone present for any consultation, examination or procedure where they feel one is required. This chaperone may be a family member or friend. On occasions you may prefer a formal chaperone to be present, i.e. a trained member of staff. Wherever possible we would ask you to make this request at the time of booking appointment so that arrangements can be made and your appointment is not delayed in any way. Where this is not possible we will endeavour to provide a chaperone at the time of request. However, occasionally it may be necessary to reschedule your appointment. Your healthcare professional may also require a chaperone to be present for certain consultations in accordance with our chaperone policy. If you would like to see a copy of our Chaperone Policy or have any questions or comments regarding this please contact the Practice Manager. We operate a policy of zero tolerance with regard to violent or abusive behaviour towards any member of staff or other users of our services. People on or off the premises who threaten any member of staff will be asked to leave unless there is an immediate risk to their health. They will receive a verbal warning. If this re-occurs they will receive a written warning affirming that we will not tolerate such behaviour. If the threatening behaviour does not cease, the patient will be asked to leave our patient list and the Local Health Board will be informed. Such individuals would need to contact the Local Health Board to arrange future provision of health care.